Halting deforestation, more inclusivity for smallholders, and clearer governance on human rights – these are what RSPO aims to achieve with the new Principles and Criteria 2018 (P&C 2018) certification standard. 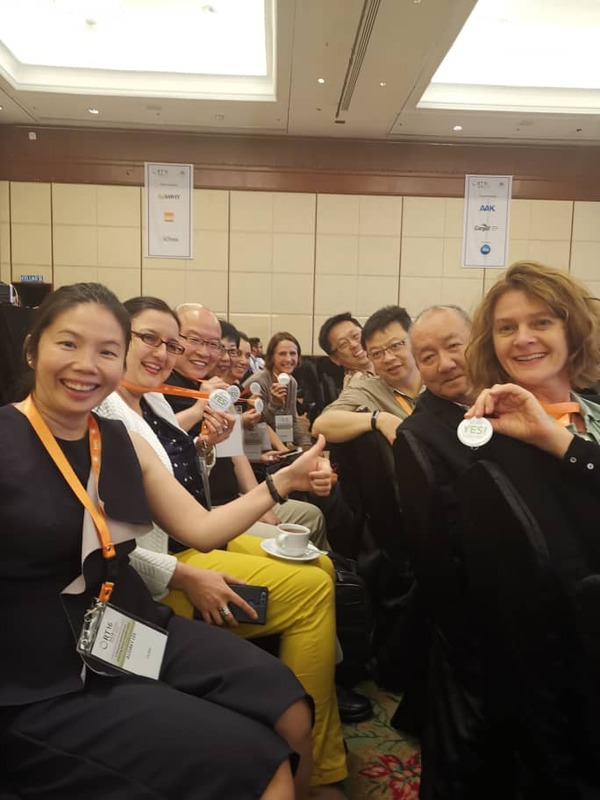 Voted in on 15 November at the RSPO General Assembly (GA15) in Kota Kinabalu, P&C 2018 is considered a momentous step forward by many in the industry, because it pushes boundaries with several new elements which will further strengthen social development, environmental protection, and economic prosperity across the sustainable palm oil value chain. Members of the P&C 2018 Review Taskforce. Personally, I am happy that we have reached this milestone, and cautiously optimistic about the journey ahead. Why? I was very much involved in the road leading up to the consensus of this P&C 2018, and this collaborative multi-stakeholder review process took over 18 months of incorporating views from all the various sectors of the palm oil industry. The P&C 2018 Review Taskforce (TF), consisting 48 representatives from all seven sectors of the RSPO, had six TF meetings,18 face-to-face events in 13 countries, two 60-day public consultations with 11,500 individual stakeholder comments. These comments were discussed and addressed thoroughly to ensure objectiveness. Yet on the evening before GA15 to vote for its adoption, panic bells started to ring. There were concerns about the feasibility of implementing the higher standards, and whether to vote against it. Thankfully at the end of the day, the results of the P&C 2018 vote were overwhelmingly positive, giving fruits to the labour of all who had been involved in the review process. Vote Yes! to P&C 2018. P&C 2018 comes into effect immediately, with existing RSPO grower members given a one year transition period to implement the new standards. This is where the real work starts. Improved guidance on environment conservation topics such as use of fire and replanting on peat etc. There are seven sectors of palm oil represented in the RSPO, oil palm producers (that’s us), processors/traders, consumer goods manufacturers, retailers, banks/investors, and environmental and social non-governmental organisations (NGOs). Oftentimes, much of the responsibility falls on producers to do the heavy lifting, largely because the upstream is where the work starts. Ensuring all downstream members contribute to this end by stepping up their purchasing, in line with time-bound plans, of RSPO-certified palm oil. All downstream members and investors to demonstrate their compliance with the applicable requirements of the P&C 2018 on matters such as environmental impacts, transparency, legality, land acquisition, labour, non-discrimination and grievance procedures. At GA15 with other RSPO members. Having worked together on the P&C 2018 TF with several members of all seven sectors within the RSPO, I say with confidence that there is now a stronger relationship and trust amongst the different sector members, and a deeper mutual understanding that sustainable palm oil is indeed a shared responsiblity. 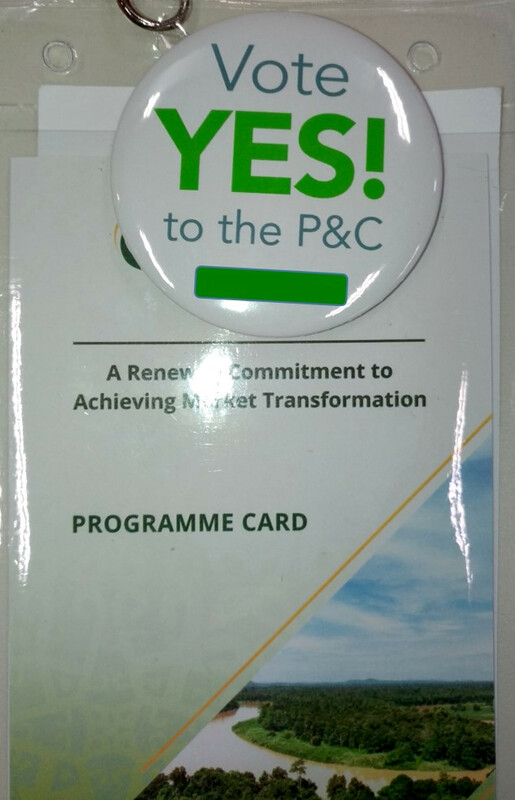 The newly adopted P&C 2018 is more than a standard for producers, it is a sustainable roadmap for all RSPO members to respect the rights of People, the Planet and its environment and the economic Prosperity of the business. The RSPO P&C are a set of environmental and social standards which member companies must comply with in order to meet RSPO certification standards. It is reviewed every five years and benchmarked against the International Social and Environmental Accreditation and Labelling Alliance (ISEAL), a global membership association for credible sustainability standards. Richard Kan is a team member of GAR’s Corporate Communications and Sustainability Relations team. He plays a leading role in GAR’s participation within the RSPO representing the company in a number of working groups and supports the sustainability directorate in meeting RSPO requirements. After RT 16 he will have attended eight RTs on behalf of the company.